Carrier Oils have been used since the time of ancient Greece and Rome when aromatic oils were used in massages, baths, cosmetics, and medicinal applications. In the 1950s, Marguerite Maury, the first person to use individually prescribed combinations of essential oils for the individual’s desired therapeutic benefits, began diluting essential oils in a vegetable Carrier Oil and massaging them into the skin by using a Tibetan technique that applies pressure along the spine. “Carrier Oil” is a term generally used in the contexts of aromatherapy and cosmetic recipes for natural skin and hair care. It refers to base oils that dilute essential oils before topical application, as the latter is much too potent to apply directly to the skin. Despite also being referred to as vegetable oils, not all Carrier Oils are derived from vegetables; many are pressed from seeds, nuts, or kernels. Carrier Oils have also earned the moniker “fixed oils,” due to the fact that they remain fixed on the skin. 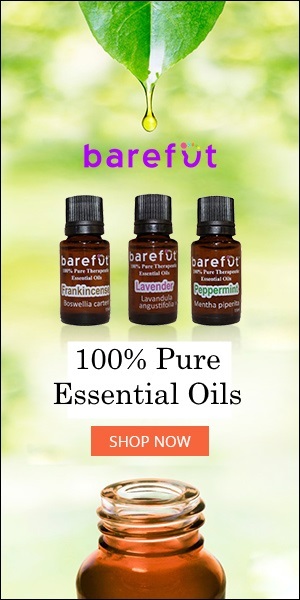 This means that, unlike essential oils, they do not quickly evaporate from the skin’s surface or have the strong, natural scent of plants, which makes them ideal for controlling essential oil concentration and reducing the strength of an essential oil’s aroma without altering its therapeutic properties. A Carrier Oil is a vital aspect of an aromatherapy massage or a natural cosmetic such as a bath oil, body oil, cream, lip balm, lotion, or other moisturizer, as it can affect the usefulness of the massage and the color, scent, therapeutic properties, and shelf life of the final product, respectively. By providing the lubrication required for a massage, the light, and non-sticky Carrier Oils effectively allow the hands to glide easily over the skin while penetrating the skin and carrying the essential oils into the body. Carrier Oils can also prevent the potential irritation, sensitization, redness, or burning that can be caused by the undiluted use of Essential Oils, Absolutes, and CO2 Extracts. Each Carrier Oil is comprised of different components that demonstrate distinct characteristics, such as color, viscosity, and penetration speed while offering variable combinations of therapeutic properties; thus, they have valuable effects even when used on their own. Carrier Oils generally contain components such as fat-soluble vitamins, minerals, antioxidants, and other nutrients that improve the look and feel of skin and hair by adding moisture, soothing irritation, and reducing the effects of dryness. The choice of a Carrier Oil is dependent on the desired result. Although true Carrier Oils are obtained mostly from nuts and seeds, there are a few exceptions to this – Coconut Oil, for example, is extracted from its ‘copra,’ which is the white inner flesh, and Jojoba Oil, which is actually a liquid wax, is extracted from a shrub that has leathery leaves. To obtain oils from nuts and seeds, they undergo one of the following processes: Cold Pressing, Expeller Pressing, Oil Maceration, and Solvent Extraction. COLD PRESSING is a chemical-free process that involves placing the nuts or seeds in a horizontal press that has an ‘expeller,’ which is a rotating screw. The screw drives the nuts and seeds through a barrel-shaped hollow and compresses them until the high pressure squeezes out the oil, which seeps out through the opening, while the ‘meal,’ or the debris, remains inside the barrel. The oil is then filtered, resulting in the finished product. Due to the absence of solvent residues in Cold Pressing, the outcome is cleaner, purer oils that are higher in natural colors and scents. Due to the friction that is created, some heat is produced during this process, despite its name; however, this heat causes little damage to the oil. The hardness of the nuts or the seeds being pressed determines the temperature of this produced heat. The harder the nuts or seeds, the higher the required pressure to extract their oils, which results in higher friction and thus higher heat. EXPELLER PRESSING is a mechanical processing method of extraction that is similar to Cold Pressing in that it involves the use of a hydraulic press that generates heat. It is important to note that all Cold Pressed Oils are Expeller Pressed, but that all Expeller Pressed oils are not unavoidably Cold Pressed. Oils that have undergone only Expeller Pressing have not been processed to maintain low heat levels and this can potentially damage an oil’s delicate nutrients. If the temperature rises above 120 ᵒC (250 ᵒF) it is no longer considered to be Cold Pressed and is rather called Expeller Pressed. Expeller Pressing is more commonly identified by the abbreviation RDB, which stands for “Refined, Deodorized, and Bleached. Expeller Pressed oils are typically RDB, which stands for “Refined, Bleached, and Deodorized.” This refinement process helps to remove impurities, improve the color or texture, or stabilize the shelf life, making these oils suitable and economical for use as cosmetic bases. Refining involves introducing the oil to a weak base solution to turn the free fatty acids into soap. It is centrifuged and washed with water until the pure oil remains. Bleaching involves removing or improving the oil’s color and clarity by passing it through an earth or clay and filtering the oil. Deodorizing removes unpleasant or strong odors by vaporizing the oil and vacuuming its volatile aromatic substances. Another refinement process is Winterization, which involves cooling a Carrier Oil and filtering it to remove the solid crystallized portions in order to achieve a lighter, clearer oil. OIL MACERATION is used for botanicals that do not hold a sufficient amount of oil to be obtained through the pressing methods. One of the advantages of this method is that the resulting oils retain the pleasant fragrances of the botanical matter used, and these scents can be imparted to skincare products. A Macerated Oil is a vegetable oil that is used in the same manner as a solvent or a base oil in order to extract the fat-soluble properties of other botanical materials and become infused with their therapeutic properties. For this reason, a Macerated Oil is sometimes referred to as an Infused Oil. The most commonly used base oils are Olive or Sunflower Oils. When infusing herbs, dried botanicals are used in order to prevent the risk of microbiological infection from wet botanicals. First, the plant material is bruised and soaked in the base oil for a set extent of time. Sometimes low heat is applied to the base oil to facilitate infusion. The plant material is then filtered to eliminate any traces of plant matter, resulting in the final product that will contain the therapeutic properties of both the vegetable oil and the infused botanical material. The same base oil can sometimes continue to be infused several more times with additional plant material. Refined oils are ideal for use in natural cosmetics, as oils with dark colors and strong odors can negatively impact a finished cosmetic product. SOLVENT EXTRACTION is a method that is applied to Carrier Oils in the same way it is applied to essential oils. It involves soaking the botanical material in a solvent such as Ethanol, Petroleum Ether, Hexane, or Methanol. The cell membranes of the plant matter are ruptured and its oils are synthesized with the solvent. The solvent is then filtered out and the resulting oil is bottled. A low concentration of solvent residues can remain in the oil, thus preventing it from being 100% pure. Peanuts fall into the category of legumes and are, therefore, not considered to be “true” nuts; however, like true nuts, they continue to share in the potential to cause allergic reactions, regardless of their concentration. Because nut oils generally do not contain the proteinaceous part of the plant, which would cause the allergic response, they are usually not allergenic, but it is highly recommended that Peanut and nut-derived oils be avoided by those with nut allergies, as an oil’s purity cannot be guaranteed. Instead, these oils can be substituted with other hypoallergenic oils. A high-quality Carrier Oil will be as natural and as unadulterated as possible and it will ideally be Cold Pressed. Organic Carrier Oils are most commonly perceived to be of the highest quality, but even these will eventually go rancid over time. The quality of an oil can be determined by the following factors: Aroma, Method of Extraction, Consistency, and Rate of absorption, Natural Fatty Acids, and Tocopherols, and Shelf Life, among other characteristics. AROMA Typically, Carrier Oils are either odorless or they have mild, distinctive aromas that are faintly nutty, sweet, and/or characteristic of the nut or seed from which they are derived. METHOD OF EXTRACTION The ideal Carrier Oil for use in natural products is a Cold Pressed (Raw), Organic, Unrefined, Extra Virgin oil. Carrier Oils that are truly “raw” will not have been heated more than 45 ᵒC (110 ᵒF). Carrier Oils that are unrefined will have been filtered to eliminate dust or small particles without compromising the oil’s nutrients, vitamins, and fatty acids. Extra Virgin Carrier Oils will have only been pressed one time. CONSISTENCY AND ABSORPTION The consistency of various Carrier Oils can be either thick or thin. The choice of either viscosity is a matter of personal preference. The intention behind using the oil will also be a determining factor in preference for consistency. For example, a light oil with fast absorption and an absence of a greasy residue would be a high-quality oil for oily skin or hair, as it would penetrate the skin quickly without clogging pores. On the other hand, a rich, deeply moisturizing oil is of better quality for treating severely dry and damaged skin or hair. NATURAL FATTY ACIDS AND TOCOPHEROLS Carrier Oils contain beneficial and restorative fatty acids that lend the oils their nourishing and moisturizing properties. These are the constituents that offer regenerative and stimulating properties to promote the look and feel of younger, fresher, and healthier hair and skin. Tocopherols such as natural Vitamin E act as natural preservatives. Some Carrier Oils have a high nutrient content but are too rich to use on their own or their odors are too overpowering. In these situations, they can be diluted in other Carrier Oils (e.g. Richer oils can be combined with lighter, odorless oils). To customize and create the ideal Carrier Oil, several can be blended to also change or combine their therapeutic properties before application. SHELF LIFE Carrier Oils that are high in unsaturated fatty acid content will generally have a shorter shelf life and can last up to 6 months, whereas oils with a longer shelf life can last 1-2 years. To maintain an oil’s quality and maximize its shelf life, it should be stored in an airtight container in a cool, dark place. Carrier Oils with natural antioxidant properties, such as those with high Vitamin E or Lauric Acid content, have longer shelf lives, as these constituents either prevent oxidation or slow down the process. Other Carrier Oils can be combined with these anti-oxidant Carrier Oils to have their shelf lives extended. Many rules for storing essential oils also apply to storing Carrier Oils. Specifically, they should be stored in cool, dark places away from strong and direct light, especially sunlight. Although refrigeration is acceptable for most oils and although it helps preserve freshness there are some oils, such as Avocado, that should not be refrigerated, as this can negatively affect some of the oil’s significant, delicate constituents. After refrigeration, some oils may appear to be solid or cloudy, but their clarity will be restored once they return to room temperature. Some Carrier Oils become rancid rapidly, but their shelf lives can be extended by adding 1% of Vitamin E (Natural) Oil, which acts as a preservative. This is an especially good idea when using Borage, Evening Primrose, Flaxseed, and Rose Hip Carrier Oils, among others. HARD OILS are solid at room temperature. To use them, they must be melted into a liquid state. Hard oils add firmness to a finished product, and without a sufficient amount of a hard oil, a product such as a soap bar will feel soft or sticky. The most popular hard oils are Palm and Coconut. SOFT OILS are liquid at room temperature. They add nourishing and moisturizing properties to a finished product. Without a sufficient amount of a soft oil, a product such as a soap bar will be brittle and will begin to crack. The most popular soft oils are Olive, Canola, Rice bran, and Sweet Almond. When formulating a natural product and substituting one oil for another, most hard oils can replace other hard oils and the same goes for soft oils replacing other soft oils. To choose a substitute oil, consider the texture and the contribution of the oil that is being replaced: What does it contribute to the recipe in terms of firmness, moisture, or even lather? Proceed to select a replacement oil with similar properties and this will ensure that the original recipe retains its potential in the resulting product. On the other hand, if the intention is to soften the original recipe, a hard oil can be replaced with a soft oil. Carrier Oil prices depend on the types of plants from which they are derived, whether the plants are endemic or exotic, their botanical names, their therapeutic values, whether they undergo organic processing, the quantity being purchased, and the supplier it is purchased from. Although seemingly counterintuitive, it is necessary for essential oils to be diluted in order to work effectively, and this is why Carrier Oils are required. Applying essential oils “neat,” that is without dilution, can lead to skin sensitization or allergic reactions caused by the concentration of essential oils, rapid evaporation of the beneficial yet volatile essential oils from the skin’s surface due to the absence of an oil to help them penetrate deeper into the skin, and the inability of essential oils to be spread across a wider area of skin. While there are a few exceptions to the fact that essential oils will harm the body if applied neat, it is best to dilute them with a Carrier Oil before use, otherwise, the resulting bodily harm will make waste of the essential oil, the effort, and the money spent. Aside from enhancing skin’s absorption of essential oils, Carrier Oils offer therapeutic properties through their beneficial components, including nourishing constituents that our bodies cannot produce on their own, such as essential fatty acids. *These rates are general and may vary between suppliers, as the speed of absorption depends on the method of extraction. When diffusing essential oils in most nebulizers and electric diffusers, Carrier Oils are not required; however, they can be incorporated into reed diffusers in place of a water and alcohol base to lessen the otherwise potentially overpowering aroma of an essential oil. Carrier Oils can be purchased just about anywhere – at health food stores, grocery stores, online through the website of a preferred vendor, and directly from essential oil companies. When purchasing, it is a good idea to consider the purpose of using the oil and the oil grade required for the intended purpose. Reputable companies that distribute quality Carrier Oils are highly recommended. “Carrier Oil” is a term given to base oils that dilute essential oils before topical application, as the latter is much too potent to apply directly to the skin. Despite also being referred to as vegetable oils, not all Carrier Oils are derived from vegetables; many are pressed from seeds, nuts, or kernels. Carrier Oils are also referred to as “fixed oils,” due to the fact that they do not quickly evaporate from the skin’s surface and remain “fixed” on the skin. A Carrier Oil is a vital aspect of an aromatherapy massage or a natural cosmetic, as it can affect the benefits and usefulness of the essential oils and the color, scent, therapeutic properties, and shelf life of the final product, respectively. Each Carrier Oil is comprised of different components that exhibit distinct characteristics, such as color, viscosity, and penetration speed while offering therapeutic properties.